Eye-catching details, vibrant contrasts and reflections! 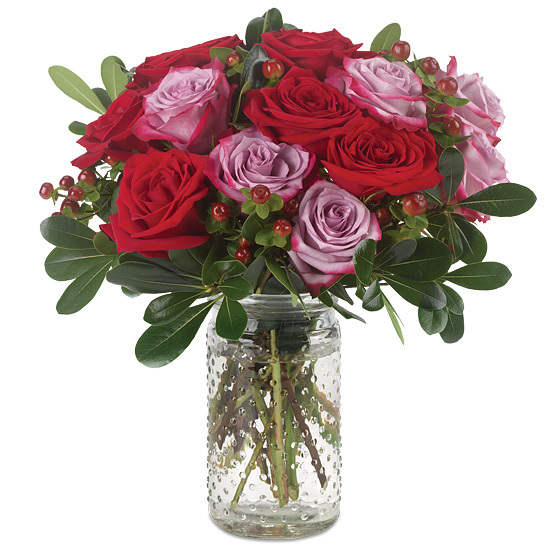 This bouquet steals attention with its rare mix of roses and berries. 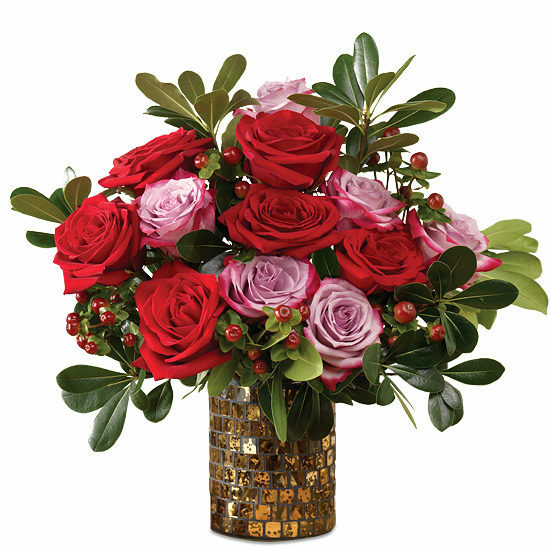 Velvety red Freedom roses and burgundy hypericum berries accentuate the hot pink tinge that traces the outer edges of the Deep Purple rose petals. 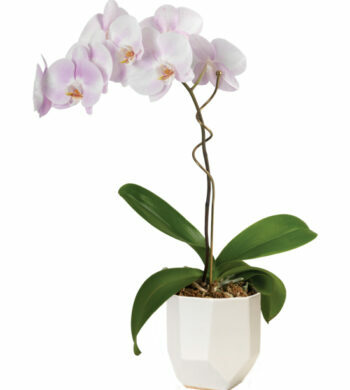 Sprigs of lush green pittosporum add festive flair when displayed in our glittering mosaic tilework vase.